In this age of cloud, devices and things , every tiny thing can be connected and made “smart” by providing information about itself and the surrounding environment. The goal of RoboMQ is to make these connections as simple and seamless as using an app. If you happen to have read our blog Deviceto Dashboard – Real Time Analytics , you might be interested in the guaranteed delivery of sensor data with no programming needed. Today we can make it even simpler by using one of the industrial grade device and IoT gateway platform from B&B Smartworx (now acquired by Advantech). RoboMQ has been successfully partnering with B+B SmartWorx for over a year. 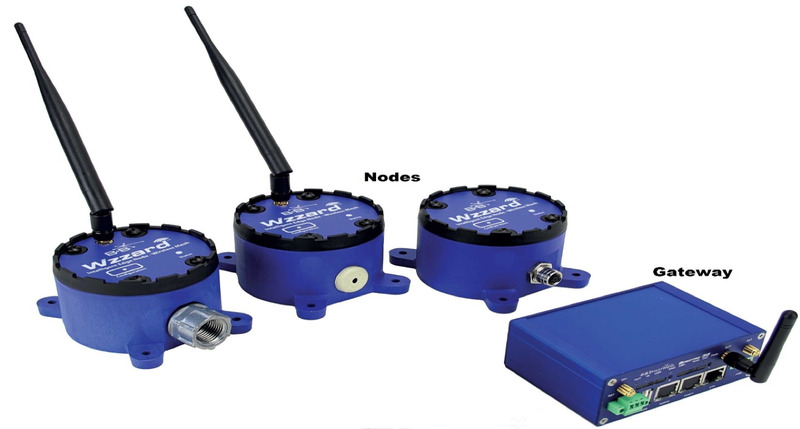 The B+B Wzzard is an easy to use, completely wireless sensor connectivity platform for the rapid deployment of scalable, intelligent, reliable IoT networking in remote and demanding environments. It support variety of connectivity protocols including mesh networks, Wi-Fi, Cellular and wired. This blog will illustrate, in just a few simple steps, how to connect B+B Wzzard devices with RoboMQ and send data through our distributed, guaranteed delivery integration platform. This article assumes that you have signed up a free trial or a subscription of RoboMQ. If you have not, please signup for a free trial. The free trial will allow you to connect up to 5 devices. It is a great way to get started and build your prototype and MVPs. B+B Wzzard kit consists of an IoT gateway and several mesh network-connected edge nodes . Nodes and the Gateway communicate with each other over ZigBee mesh network. The gateway provides the last mile IP connectivity and it can connect to Internet or private networks using Ethernet or Cellular connectivity with provision of a backup/fail-over connectivity option. The nodes collect data from attached sensors and publish the data in JSON format using MQTT protocol through the IoT gateway. There are different types of edge nodes with built in support for different types of sensors. B+B Smartworx documentation provides elaborate wire specification for each node model on how to connect the sensors and use the inbuilt sensors. You should read the B&B Smartworx documentation to accomplish step 1. Typically, an edge node will provide voltage, ground, digital input and analog input pins. Some models also come with pre-installed sensors. You will have multiples choices to configure and customize your edge nodes. Once the sensor setup is done, connect your laptop or computer to the IoT gateway over the Ethernet port, and open http://192.168.1.1 in your browser. It will lead you to the configuration page of the IoT gateway. Click User Modules -> IoT Gateway, and you will see the page below. Follow the instruction below to fill out the form then save it. Network ID & Join Key: Remember them! Nodes will connect to the gateway using these as the credential. This is the credential and joining key for local mesh network.  MQTT Broker Enable & MQTT Broker Port: Keep the “MQTT Broker Enable” to Off. MQTT Bridge Address: The IP address or FQDN of broker. You must configure DNS server for the gateway if you choose FQDN. MQTT Bridge Client Identifier: Unique ID for each B+B Smartworx gateway. After a few seconds, you will be able to see the MQTT connection established from the gateway to RoboMQ on the RoboMQ managementUI. The URL to the management UI along with the credentials is provided upon signing up for RoboMQ free trial or subscription. Now go back to the edge node. Install a Wzzard Sensor APP on your Android device then follow the below instructions to configure the node. 1. The APP will scan for B+B nodes over the bluetooth. Long press configuration button on the node to prepare it for configuration, then s elect the node in the APP . On the next screen Select “Radio Setup” to go to the detailed configuration page. 2. Once on the Radio Setup screen, input the Network ID & Network Join Key that you configured and took note while configuring the IoT gateway. Also enter the Username and Password. If you have not already changed it, then the default username is “admin” and default password is “admin”. Click “Save” once done. 3. Now go back to “Select a category screen” as shown in Figure 5 and select “Sensor Setup”. It should present you with the screen as shown below. On this screen, configure “Publish Interval” and sensor specific data rules and formats. At this point, you have completed the setup and you are all set!! B+B Wzzard will now collect sensor data and publish to it RoboMQ at the configured time intervals. Below is a snippet of the MQTT messages that you will receive on RoboMQ queues. As you can see, the MQTT topic is the node ID and message payload is JSON formatted sensor data. Once you have configured RoboMQ “Device toDashboard” real time analytics and visualization engine, you should be able to visualize your sensor stream real-time with absolutely no programming needed!! With RoboMQ, you have endless options for the use of the sensor data. You could use the real-time analytics engine as mentioned above. You could alternatively integrate the sensor data with Salesforce, CRM, relational databases, MongoDB, CouchDB, analytics engines or operational system. RoboMQ provides ThingsConnect suite of adapters and connectors to connect all SaaS and enterprise systems with Internet of Things over any standard integration protocol. You may refer to our blog on how to connect your device data to Salesforce at http://robomq.blogspot.in/2015/04/hello-i-need-help-iot-devices-talking.html . This blog talks about the use case of a device creating a case in Salesforce upon observing an abnormal environmental condition. As you might have experienced yourself by now, Any-to-Any integration is extremely easy with RoboMQ. Sign up for a free trial today and please feel free to reach out to us at info@robomq.io for further assistance. If you need more assistance, you may engage us for a proof of concept to give us an opportunity to show how we can help you realize your next IoT killer app! !